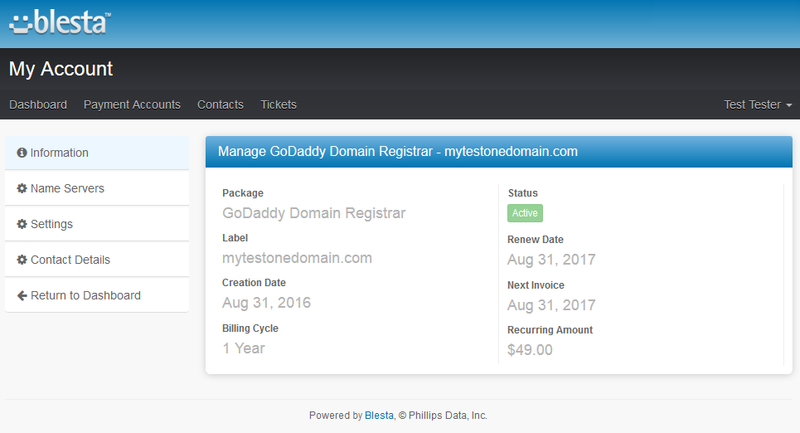 Godaddy Domain Registrar For Blesta enables registration of GoDaddy domains in your Blesta system. 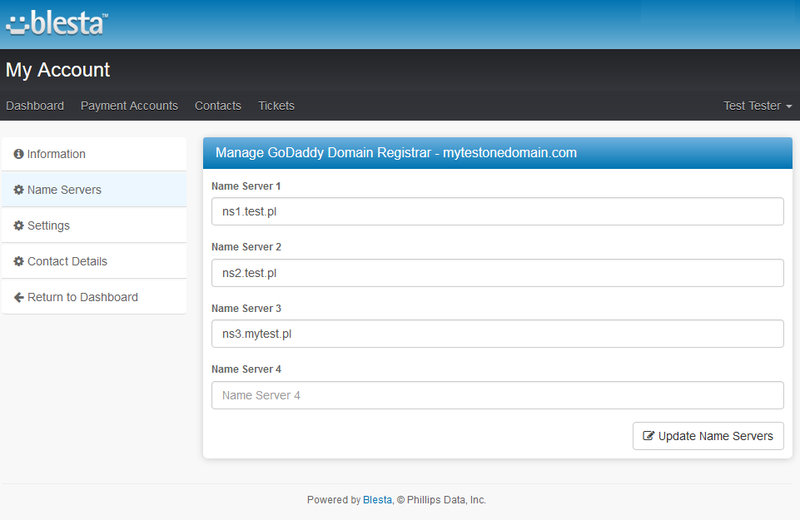 Your clients will be able to order and manage their domains directly in your Blesta client area. 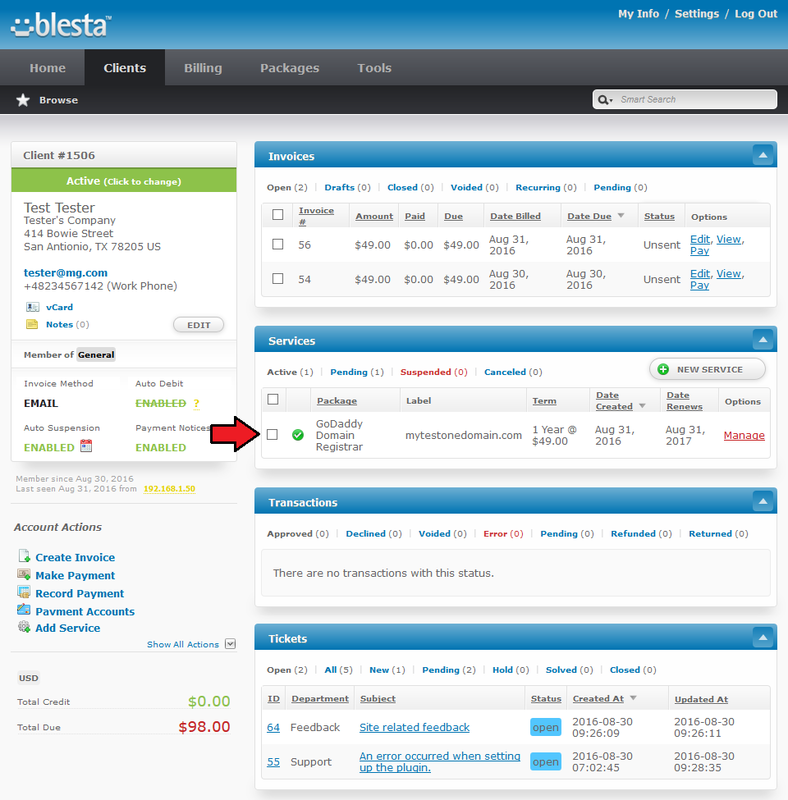 The module is an excellent tool for every GoDaddy API Reseller who works with Blesta platform. 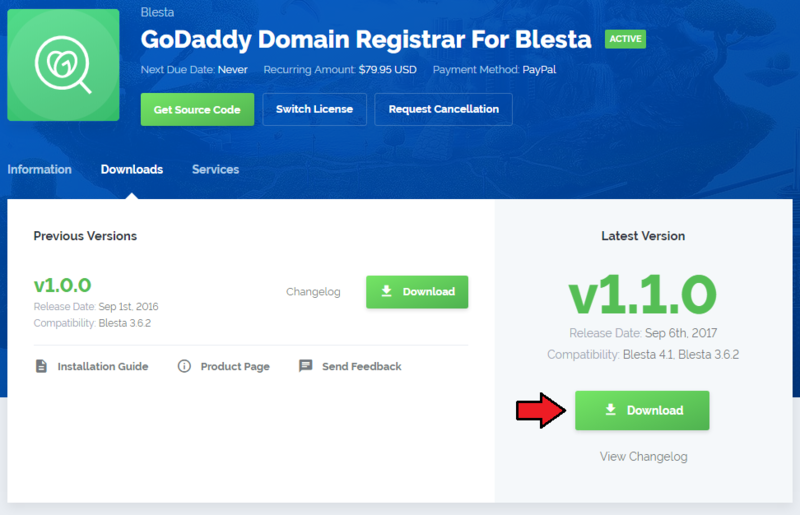 In this brief tutorial we will show you how to successfully install and set up GoDaddy Domain Registrar For Blesta. 1. 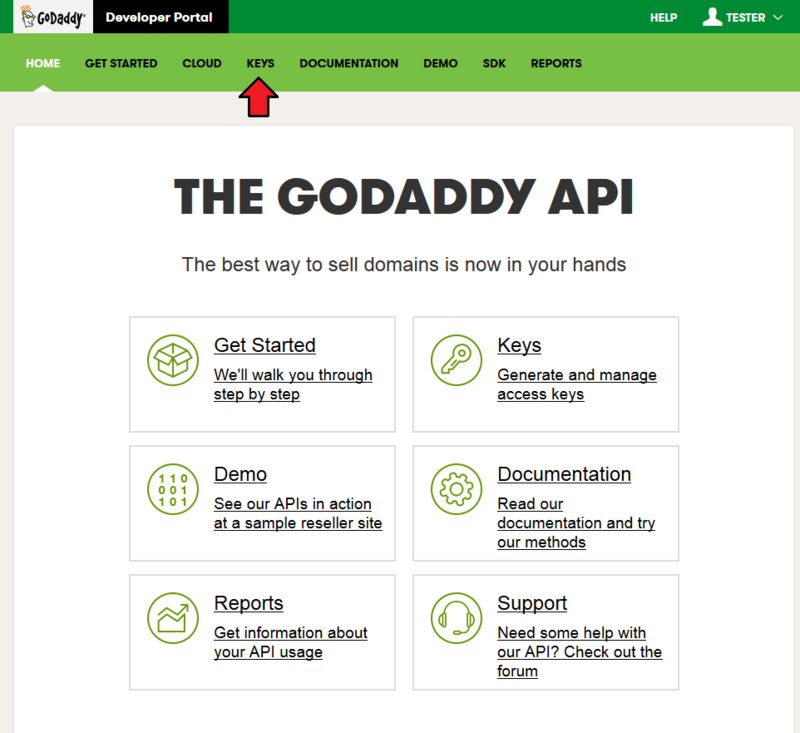 In the beginning make sure that you are the GoDaddy API Reseller and your API User account is active. Info: Please note that GoDaddy API Reseller and GoDaddy Reseller are not the same! Our module can be successfully used only with the former account. 4. Extract the downloaded file and choose the one with the right PHP version. 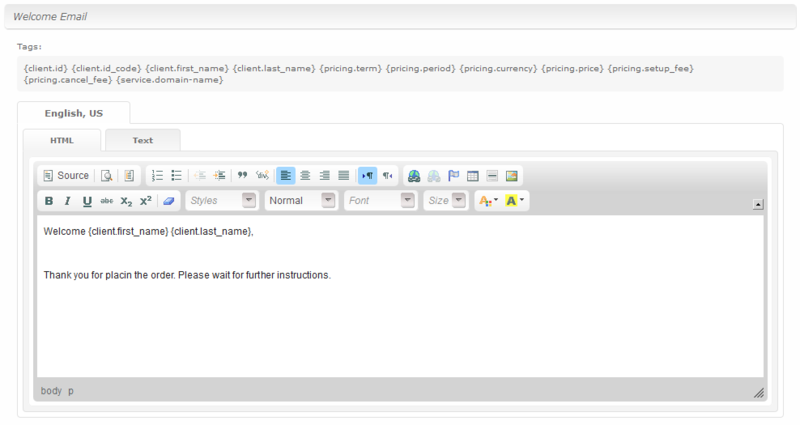 Upload and extract the PHP file into the main Blesta directory. 5. When you install GoDaddy Domain Registrar For Blesta for the first time you have to rename 'license_RENAME.php' file. File is located in 'components/modules/go_daddy/license_RENAME.php'. Rename it from 'license_RENAME.php' to 'license.php'. 6. In order to configure your license key you have to edit a previously renamed 'license.php' file. Before you can go one, you must generate your GoDaddy API Key and API Secret. You will need them to activate your registrar module. Underneath you will find instructions where to find your API details. 8. 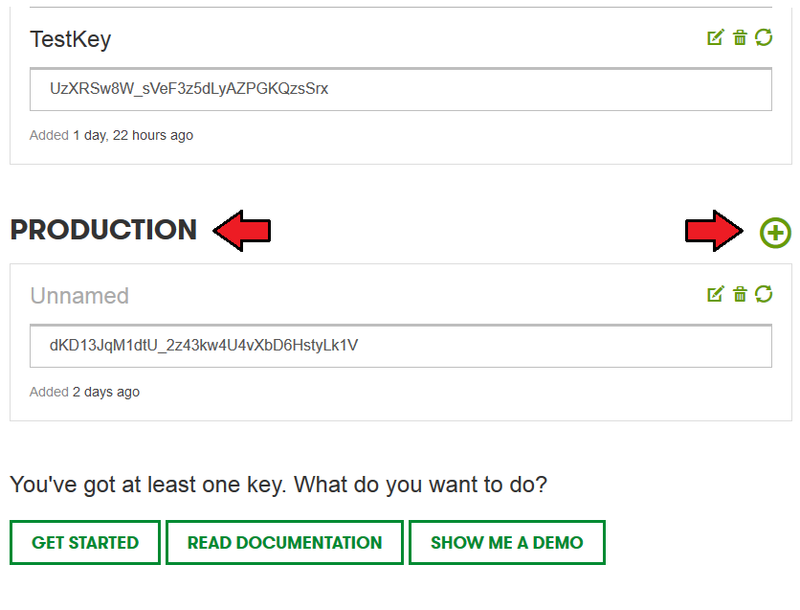 You will be moved to a section where keys can be generated and then managed. Please find 'Production' keys. It should be seen at the bottom of the page, under 'Test' keys. Press '+' to generate a new key. 9. 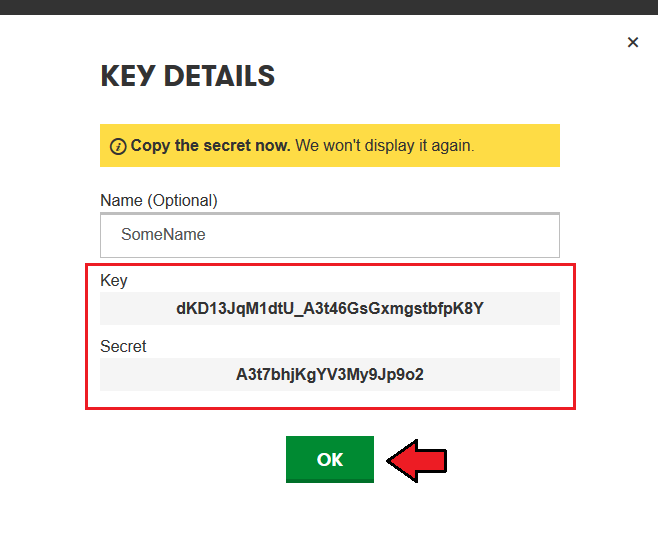 Keep your API Key and Secret in a safe place, you will need them in a moment. Note that it is not possible to vie 'API Secret' again! 10. Now, log in to your Blesta and proceed to 'Settings' → 'Modules' → 'Available'. Find 'GoDaddy Domain Registrar' and press 'Install' next to it. 11. Afterwards, press 'Manage' to configure your API connection. 12. 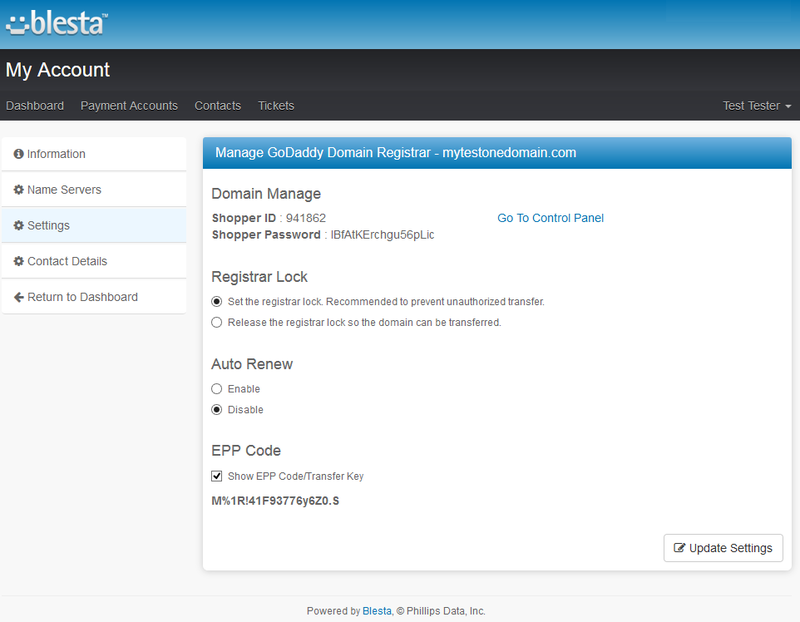 Enter your live API 'API Key', 'API Secret' and a URL to domain management site. 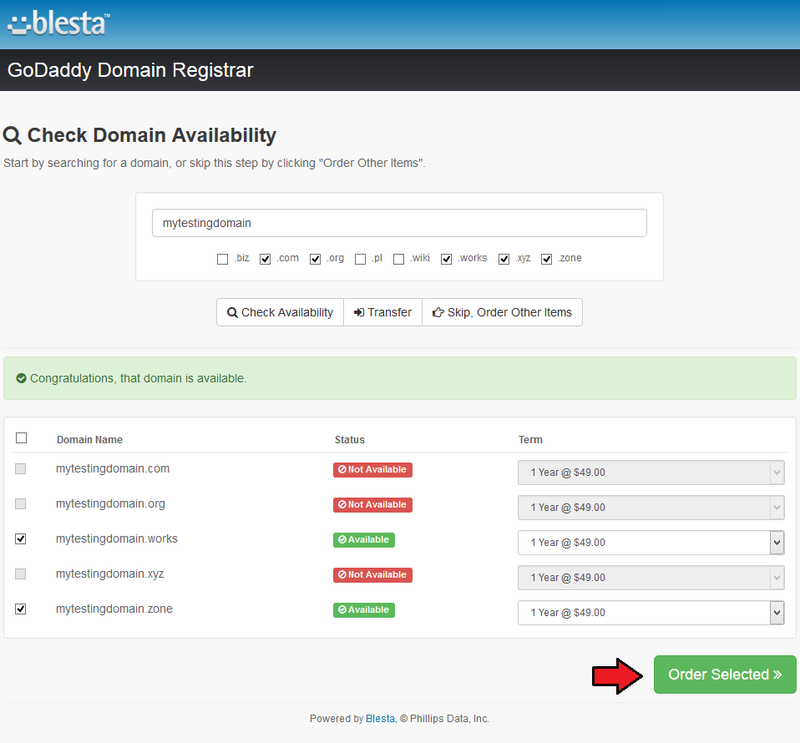 GoDaddy Domain Registrar allows you to offer GoDaddy TLDs through the Blesta system to your customers. Before you can offer new TLD for sale you must create some packages with selected TLDs and pricing. You will see an extensive form. Start with naming your package, select module - 'GoDaddy Domain Registrar' and activate it now. Surely you can activate it later on. Next, you have to configure your module options. provide default nameservers - they can be changed later on. In the next step set your prices. You may also provide the content of a welcome email. Ordering GoDaddy domains goes alike ordering other domains. 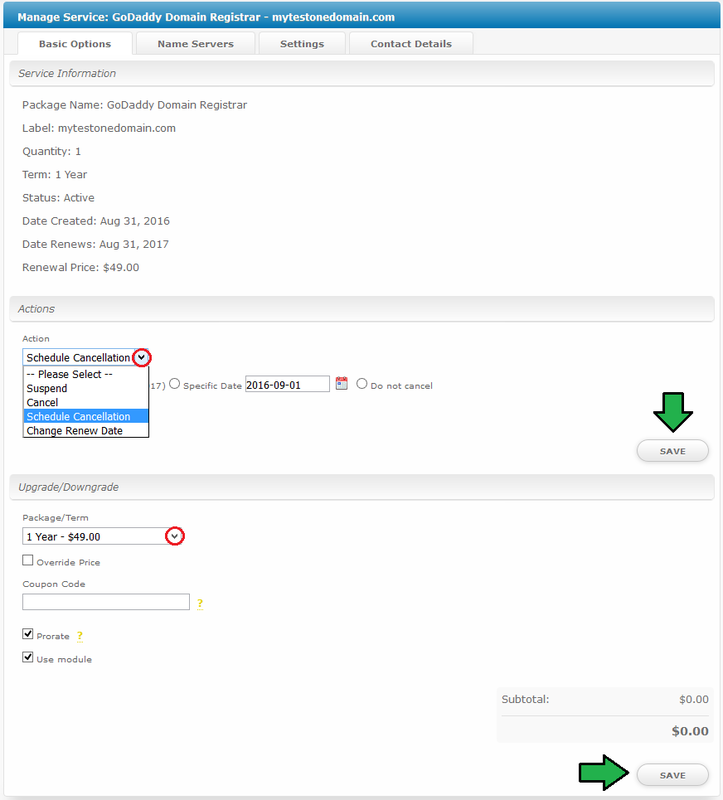 Check domain availability, order selected domain, make the payment and wait until it is activated. 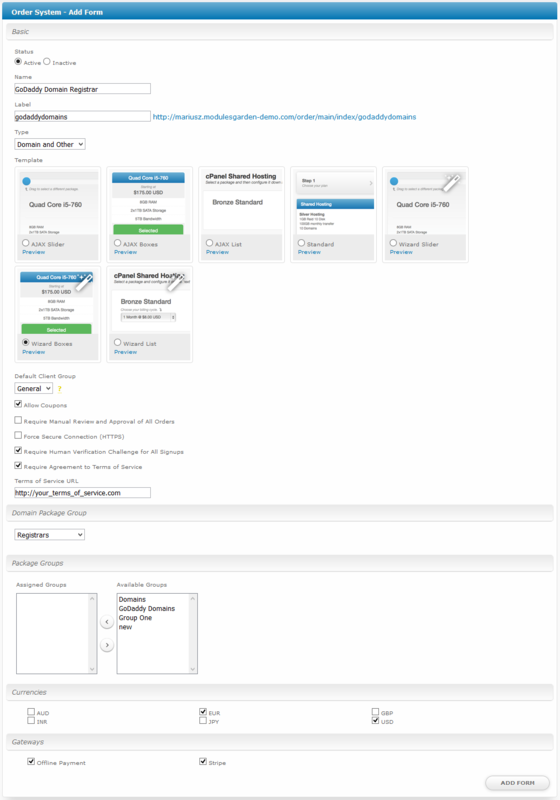 In the admin area you can manage all the aspects of the domain. 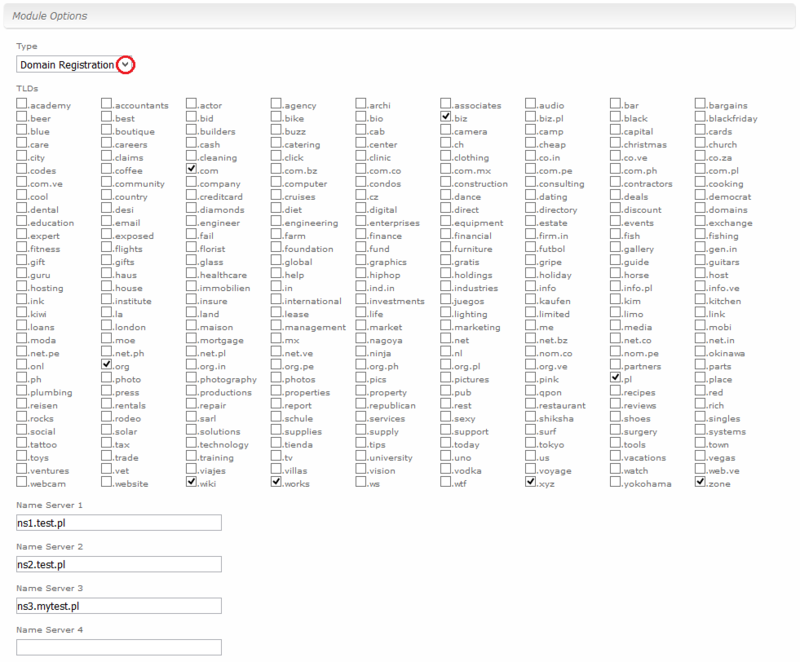 Find the ordered domains under 'Services' table. Press 'Manage' to see details of the domain. 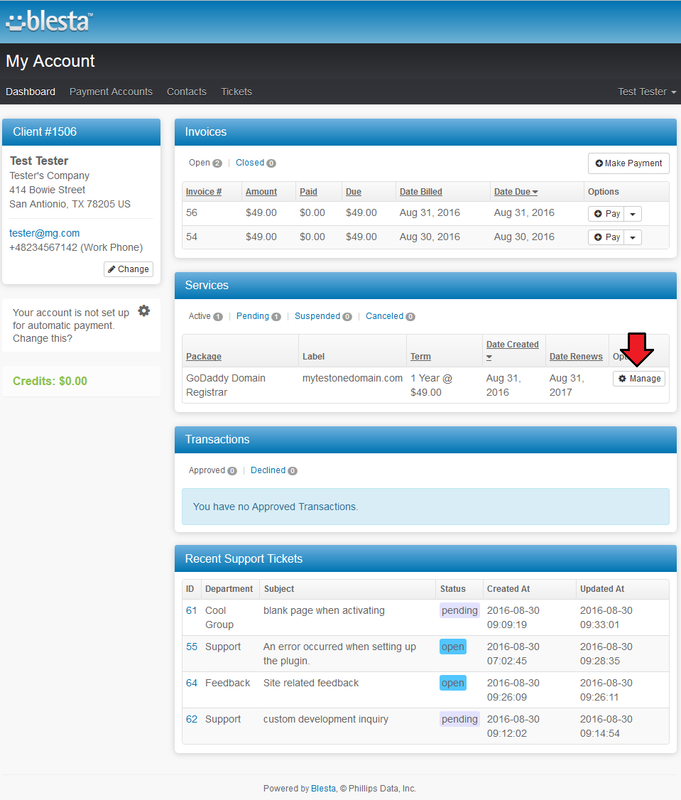 The first tab gathers data on service information, allowed actions and upgrade/downgrade feature. some basic data on the domain such as name, label, quantity, dates etc. Select action, provide details depending on the chosen action and save the changes. If set up, you may choose other package or term from available to upgrade it or downgrade. In the next section you can preview ordered name servers. Update them if required. You may change/update the details here. 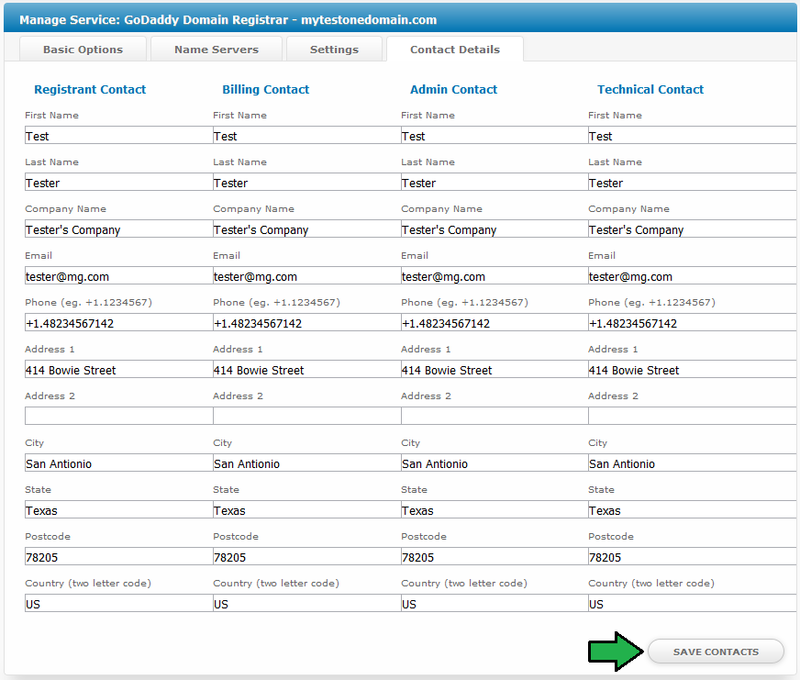 Your customers can perform various actions on their GoDaddy domain from the client area. Clients can view basic information related to domains and perform several actions on them. Read below see exactly what can be done. In addition to that, your clients can find here their GoDaddy account details and log into it through pressing 'Go To Control Panel' button. At 'Information' tab clients can see basic details on their domain. Used package name, status, recurring amount etc. 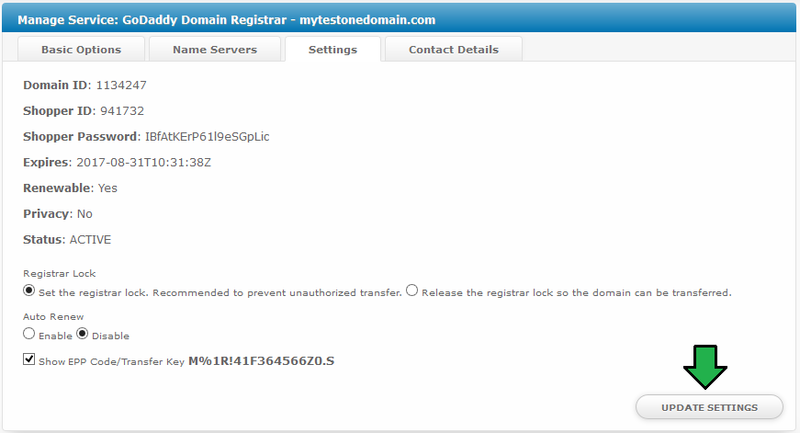 'Nameservers' tab allows clients to preview and change nameservers used by their domains. 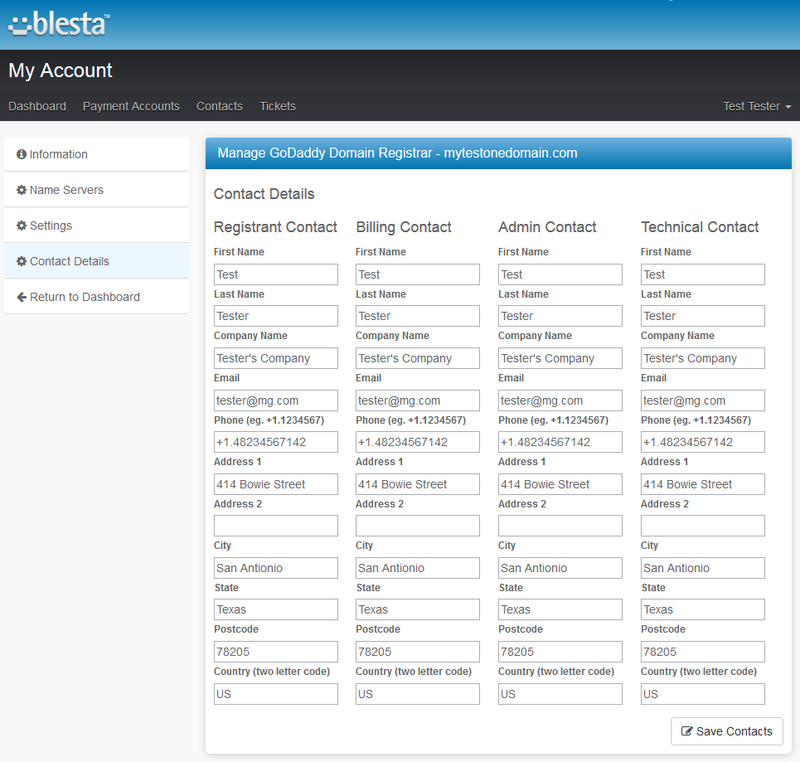 Under 'Contact Details' your clients can also view and modify any contact information. 1. 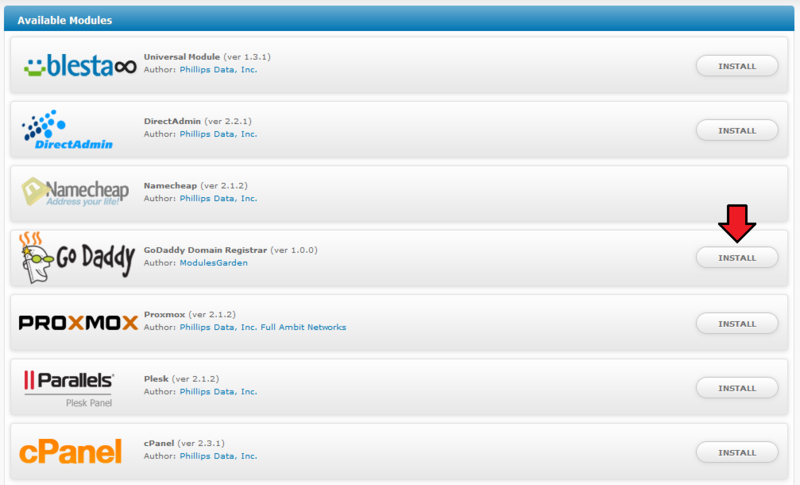 To use the test mode, simply select 'Sandbox' under the module management page.